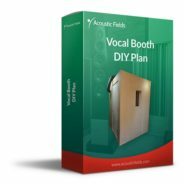 Are you tired of muddy and sloppy bass on your sound stage with bass notes masking your music into one big bloated mess? Tired of not connecting with your music the way you know it’s possible? Frustrated by the lack of an emotional connection with your songs despite investing a crazy amount of money into your amp, speakers and hi-fi? Imagine being able to hear incredible bass separation and definition in every piece of music you play and enjoying the sound of your music coming to life as your mids and highs pop like you always dreamt possible. Imagine being able to experience crystal clear attack and decay in each individual bass note in every piece of music you listen to. With the BDA Broadband Diaphragmatic Absorber you’re going to feel the power of every single bass note the way you want to hear it. It’s that connection to the music which makes all the difference to your enjoyment of it. It’s the dynamics and separation of instruments with crystal clear clarity definition, which creates the spine tingling, hairs on the back of the neck sensation that you desire so much from your music collection. 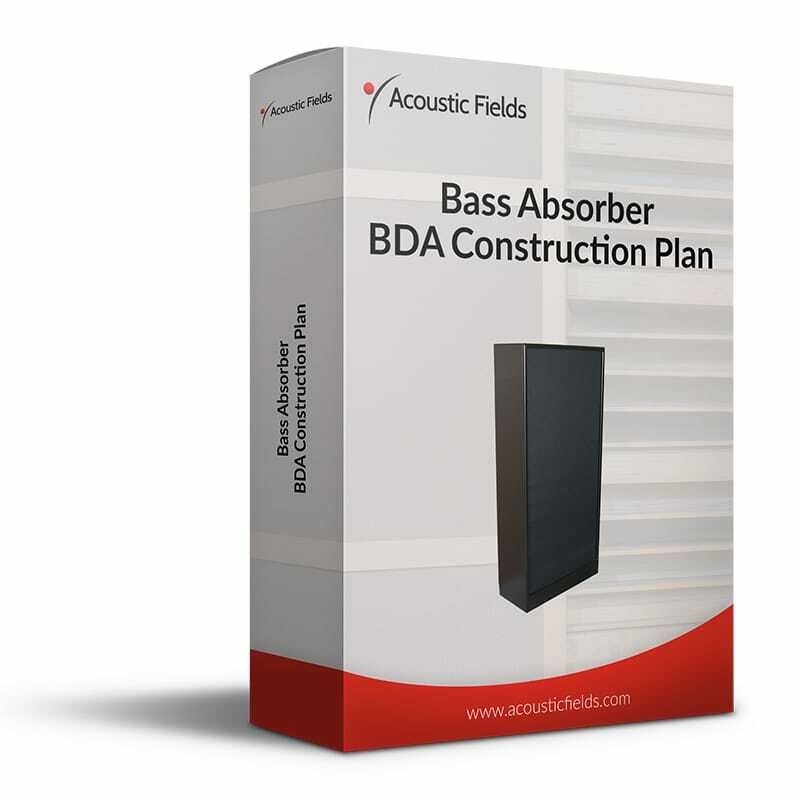 With the DIY Bass Absorber – BDA Broadband Diaphragmatic Absorber plans you can actually build enough low frequency absorption units to tame your room modes without breaking the bank. These plans are lab tested to work at high rates and levels of absorption. The BDA is a powerful, low frequency, absorber that absorbs energy from 40 Hz. – 400 Hz. In fact you get 75% of the performance of our production units, which cost over $1,000 each, for just over $39.99. 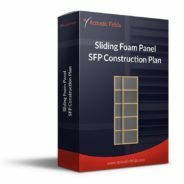 This technology is used by professional recording studio builders when they build a recording studio from the ground up and now you have the blueprints to their design. Once and for all you can have the low frequency attack and decay in each and every note of your bass and drums and for the first time you will able to actually treat your room with your own units that bring all of this to life. Over an 8 year period we built well over 100 rooms of different sizes, dimensions and materials to produce a data base against which we could measure pressure levels. From this we know that low frequency absorption is needed throughout the room and not just in the corners as so many other companies advertise. Room modes and their pressure issues can mask your mid range vocals and music and cause you to be unable to hear everything the artist and engineer intended for you to hear. 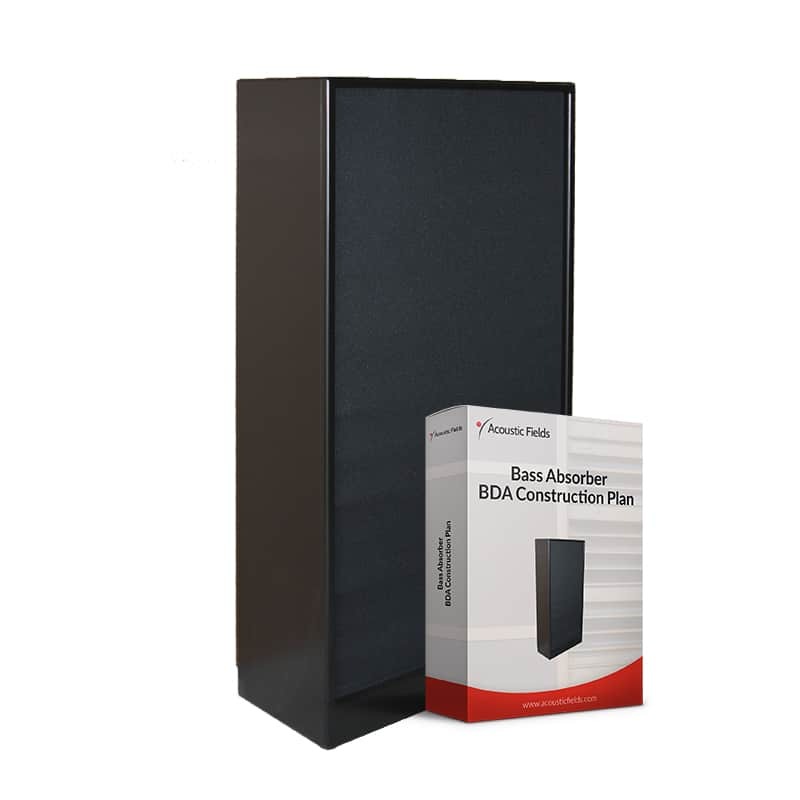 If you distribute powerful Broadband Diaphragmatic absorption throughout your room you can significantly reduce pressure throughout your room and enjoy little or no masking of any of your music. I wanted true separation of bass sounds below 100 Hz. and clean and clear attack and decay in every note. This is where the real magic in music happens and I wanted the ability to have the same detail and clarity in our bass notes as we enjoy in our mid range. After all, why should they be any different? So I took the low frequency absorber walls I had designed, built and tested over the 8 year period, and worked with my team on developing a free standing unit that could be moved around a room as desired whilst ensuring it enjoyed the same performance level as our permanently built in units. I wanted to take a slice out of our permanently built rooms and make it available to customers in a portable form. 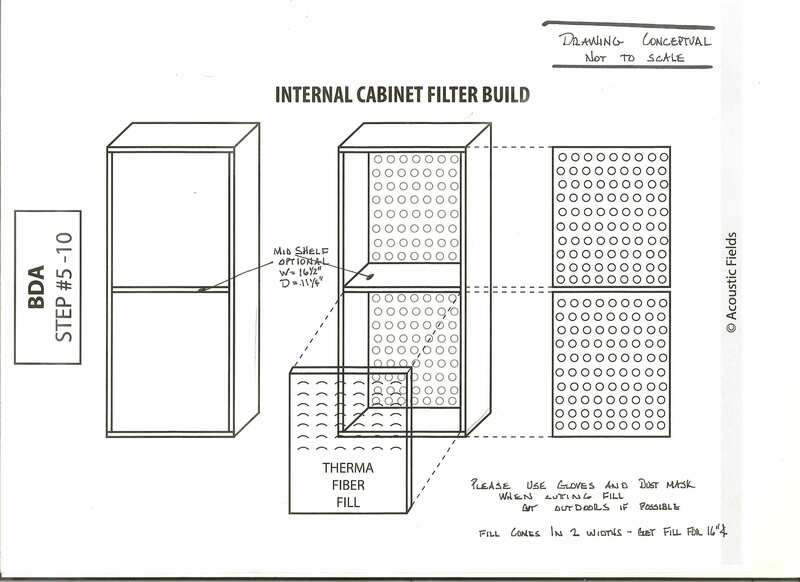 Within 2 years of building many models and testing them for STC (Sound Transmission Class) or the ability of a wall to keep sound from coming through it and all the associated vibrations, we had a rigid cabinet structure and design in place. 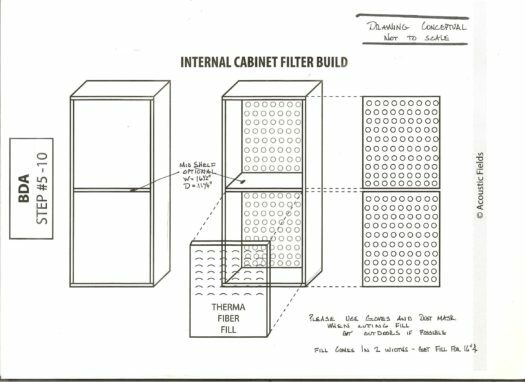 It is this cabinet design that I now make available to you in DIY form so you can build it yourself and finally tame those room modes that so mask the music your system is producing. 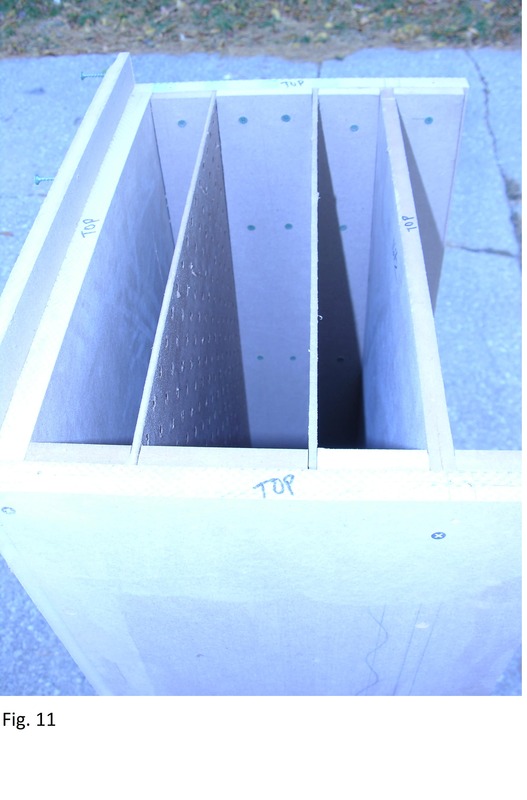 Soon you’ll be asking how you ever got by without these DIY bass absorbers! You get step by step building instructions along with actual build photos that explain, in great detail, how to cut and assemble each piece. 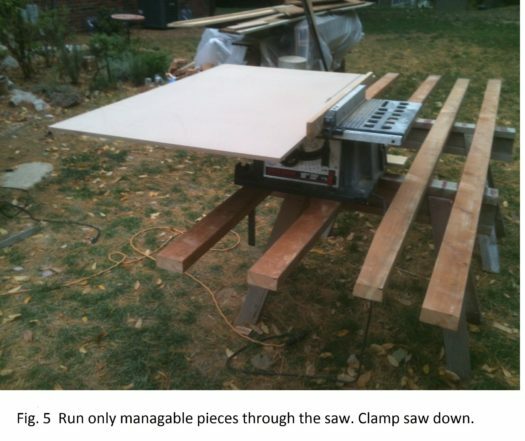 Every piece is sized for you and all you have to do is cut each of them and then follow the step by step assembly instructions. It means you’ll get the solution right first time, with no errors, and finally have the chance to hear all the music your system is producing but which your room modes are masking! 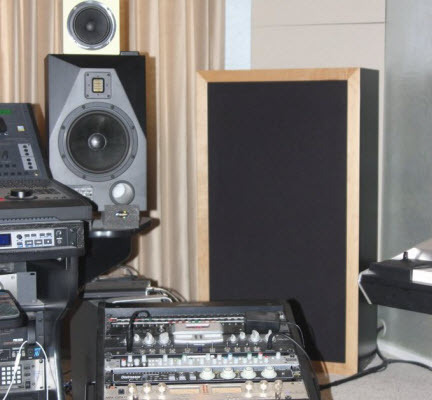 You will be able to build a time tested and proven sound absorbing technology that is used by professional recording studio builders the world over which will give you a professional level performance in your room so you can finally enjoy the music the same way the musician and mix engineer intended you to hear it. You will have a professional grade sound absorbing unit that you get to actually build with your own hands, so you can enjoy bragging rights when your friends come over to hear your tight clean bass that has attack and decay like they will have never have heard before… EVER! You will get a low frequency, sound absorbing unit that performs at 75% of our production activated carbon units which have been tested by Riverbanks Labs, the world famous acoustic testing lab, so you can be assured of the performance level of the units you have built… And all at a fraction of the price of the production units which sit in professional studios the World over! You will get drawings and photos that will let you build your own unit and put your own personal finish on it, so you can match the finish on any piece of furniture in your listening room, home theater, or professional recording studio producing not only a room that sounds good but looks great as well. You will also enjoy direct contact with me, Dennis Foley, the Chief Product Designer and inventor of this unit so if you get stuck or have questions at any time you can call on me for advice. That’s a free opportunity to pick the brain of an acoustics engineer with over 30 years in the field so you can further your understanding and knowledge on this vitally important subject area! The following testimonials are about our professional ACDA units. However the BDA is based on the same technology as the ACDA’s and performs at 75% of the production units… which is still much better than anything else you’ll find on the market. 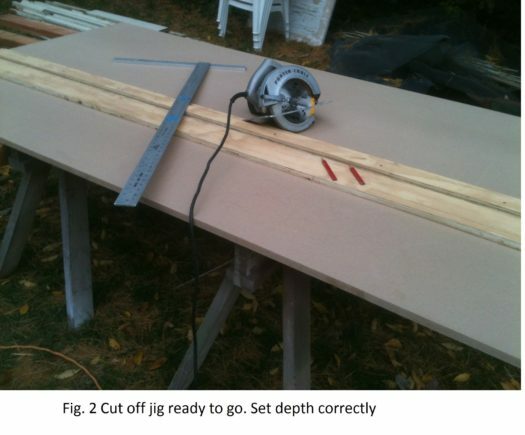 The only difference being you have to build it your self to save money. So now you can have most of the performance of our ACDA product at a fraction of the price. With your DIY bass absorbers you’ll finally be able to go after the frequencies below 100 Hz., and enjoy all that sound you’re currently missing out on. 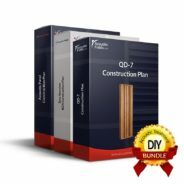 I want to make them available to you because I’ve seen so many DIY bass absorber and trap plans on Google that are labelled as “free plans”. Having looked through a lot of the specs all I can say is “you get what you pay for!”. Most of the designs are going to be a waste of your time and materials as the frequency results are horrible. 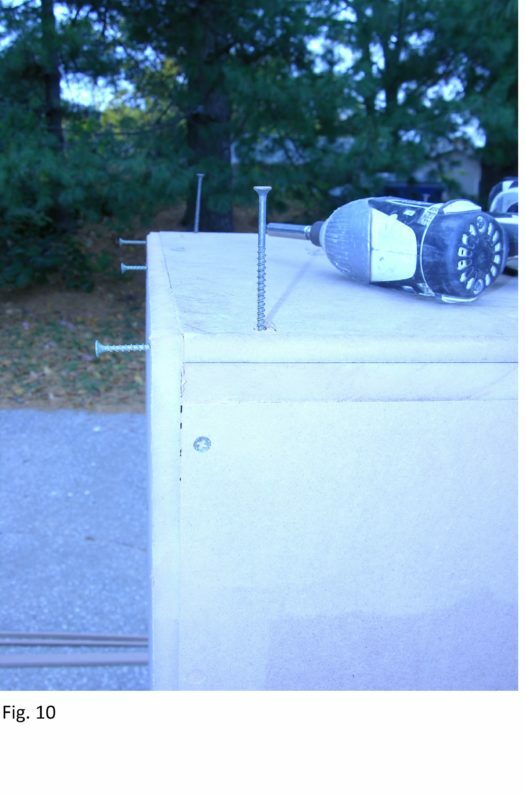 You’re going to end up with little change in your room and a huge hole in your pocket because of the materials they are advising you to buy… literally hundreds of dollars worth just in the build cost alone and all to end up with a crappy unit that won’t work! I’d rather you go and buy yourself a nice crate of beer and forget all about it rather than go ahead with that. 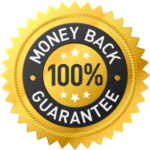 At the least you should look for independently verified test data like we have from Riverbank Labs (which none of these free plans have). So don’t waste your time and energy on something that is only going to leave you frustrated at the end of all your hard word. 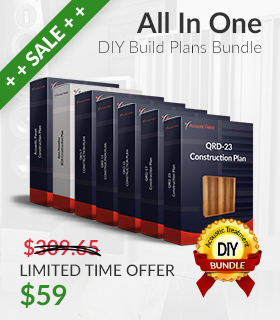 Buy our proven and verified DIY plans and start enjoying more of your music than you ever thought possible in a matter of hours! Act now as this price is going up again soon so don’t miss out. 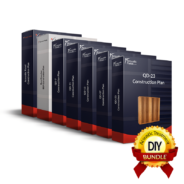 As the exclusive designer of these DIY Bass Absorber Plans you cannot buy them in any other store or on any other website. This product is for serious recording studios, studio engineers and Audiophiles only. If you’re serious about wanting sonic perfection in your low end, then this is most definitely for you. 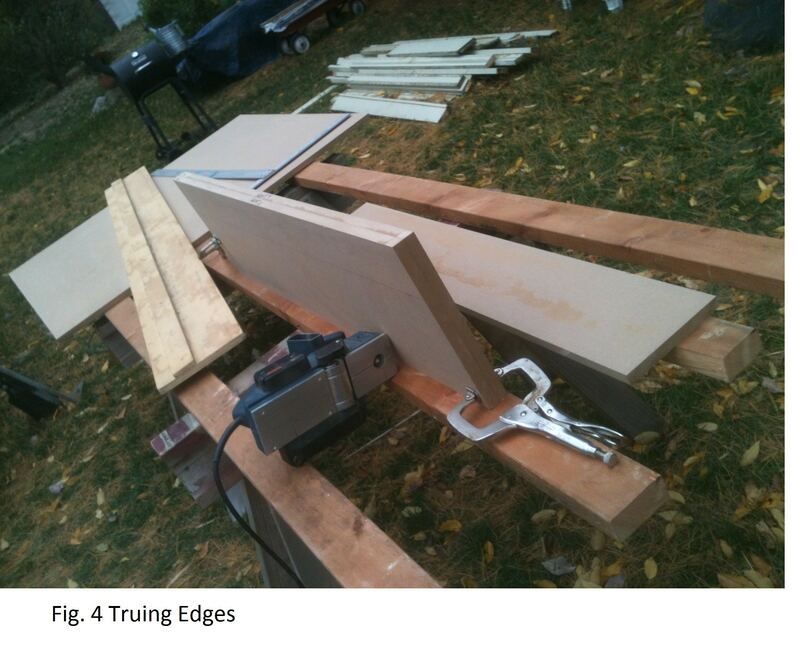 Don’t live with a compromised listening room and room sound for a minute longer. Take action now, believe me, you’ll thank me for this, for years to come. 7 day noise time study to determine noise frequencies and strengths. Apps provided for measurements using existing phone. 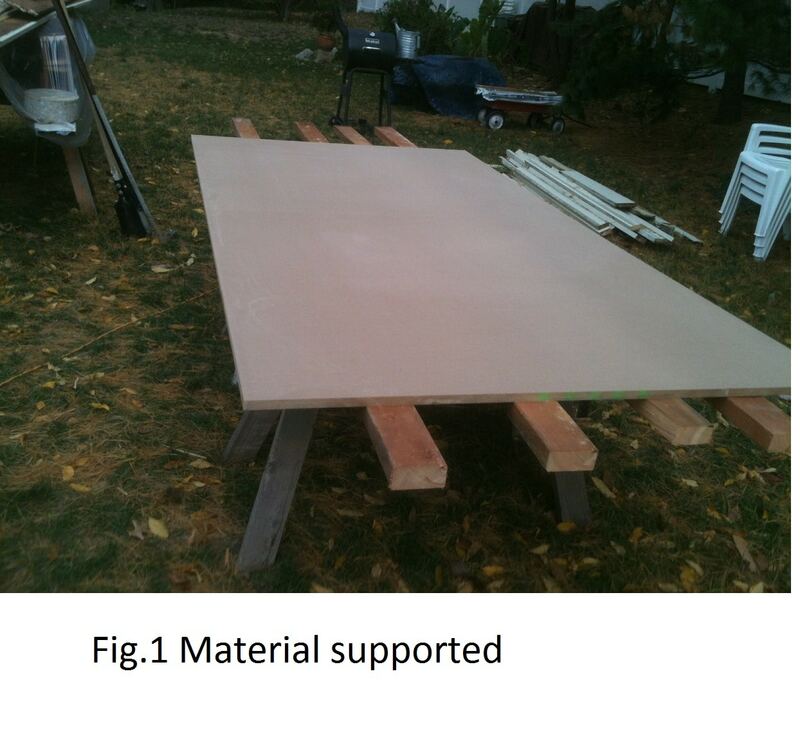 Wall (barrier) construction density and construction methodology based upon noise measurements. Drawings provided. 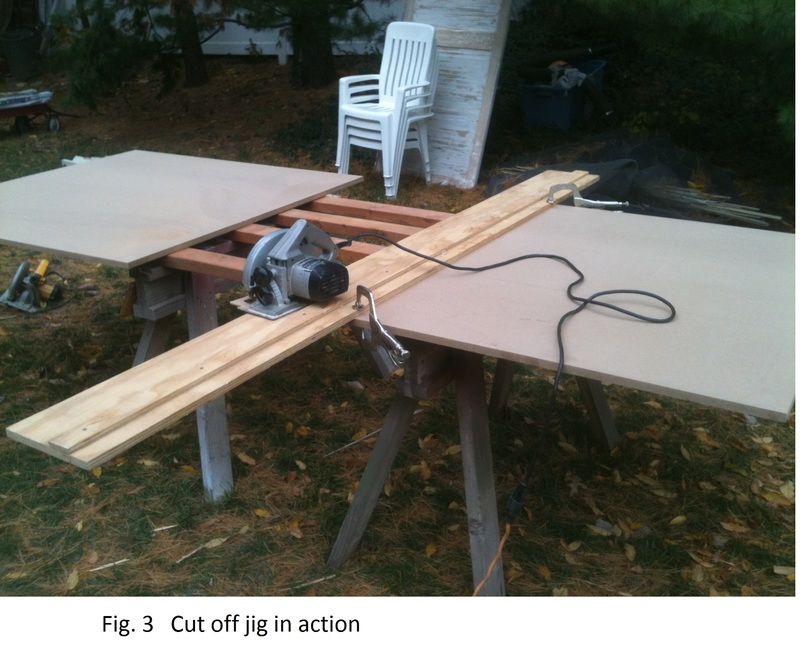 All door and window requirements based upon noise measurements. Drawings provided. Absorption treatment rates and levels calculated for single or multiple usage. Room treatment designed for standing or sitting recording.